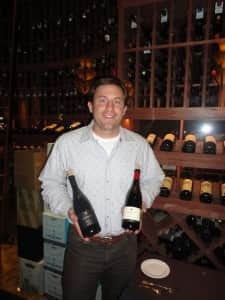 When I received the invitation to have lunch with Mark McWilliams, owner and winemaker of Arista Winery in Sonoma, I was reminded of his Texas connection with a very personalized note of his favorite Dallas haunts from Bolsa to Abacus; his affinity for White Rock Lake and how he loves the Dallas heat. Other than making great wine, my interest was piqued – how do you love the Summer heat in Texas? We met at the Place at Perry’s for lunch. He’s an avid storyteller and I soon found myself with ten plus pages of notes. His Texas-based family, who always had an affinity for food and wine, took the plunge in the early 90’s with the purchase of land in Sonoma. It was an “all in” decision. But, in hindsight, it wasn’t too far of a stretch. Mark’s mom spent time in Paris and became a fabulous chef. He and his brother grew up experiencing different tastes, flavors and smells. His parents vacationed in Sonoma for a few decades and called the kids into a room for “the talk” in the 90’s. The kids were dumbfounded to hear that they were not only buying land in Sonoma, they were relocating the family because they wanted to follow their passion for wine. They partnered with a vineyard management company and other experts to put together a team. The family sold to their grapes to wineries, some very established ones, for about ten years. Mark, in the meantime, graduated college in 2000 with an international business and management degree, and decided to try out the family business during harvest. The deal he made with his family was that he’d make a decision based on that experience whether to stay in the business or do something else. His epiphany was walking with the wine makers of La Crema and realized he understood what they were talking about. From that moment on, he knew what he wanted to do with his life. He joked that he’s continued that summer job for the last 12 years. At La Crema, he experienced growing season in the vineyard and harvest season in cellar learning all aspects of wine. Then it was time for another leap of faith. Mark convinced his family that it was time to make wine and McWilliams was launched in 2002. 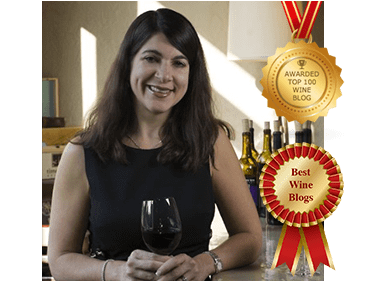 McWilliams was quickly changed to Arista, the Greek word for excellence, after a cease and desist letter was sent from another McWilliams winery. The first vintage was a couple hundred cases of three Russian River Valley Pinot Noirs. 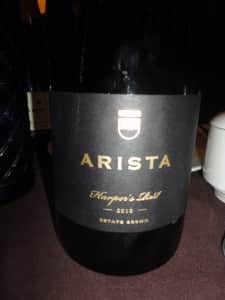 In 2004, the family purchased 36 acres of estate vineyards in Sonoma that were last planted in the 1850’s by Reuben Harper, who is buried on the property and memorialized in Arista’s Harper’s Rest, a great wine. The family found four different soil types on the property, which they divided into four different vineyards. This is the tenth vintage and Arista makes 14 pinot noirs and a limited production of two chardonnays, one gewürztraminer and one zinfandel that are about 50 percent estate grown. The family just announced the purchase of the historic 74-acre Martinelli Road Vineyard, adding to their 36 acres of estate vineyard ownership at the home winery with zinfandel planted in 1880, chardonnay planted over 30 years ago and pinot noir planted 22 years ago. 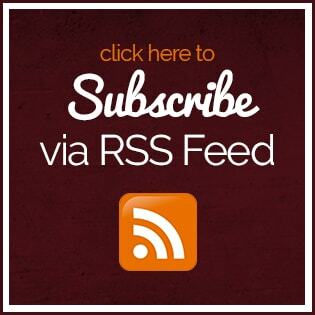 Also notable are the well-regarded neighbors – Williams Selyem Estate and the Allen Ranch. 2011 Ferrington Vineyard Gewurztraminer (Anderson Valley), this non-estate wine was bone-dry and had great tropical fruit like mango, lychee and guava. It was crisp, mineral and fabulous. 2010 Sonoma Coast Pinot Noir, one of the non-vintage pinots identified by the white label, this was very approachable and drinkable. Full of black cherry, cranberry and raspberry, it was a smooth wine typical of the Sonoma Coast. This is their largest production wine with 600 cases. 2010 Longbow Pinot Noir, a barrel selection wine from the Russian River Valley, had dark red fruit, Asian spices with notes of black tea and licorice. It’s a very lush wine and the style of the wine might change year to year to reflect the vintage. 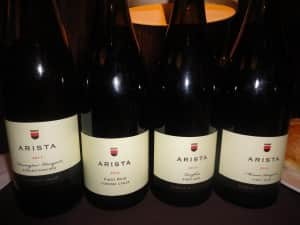 This is the flagship Pinot for Arista. 2010 Mononi Vineyards was described in the sense of a musician releasing an album as “the song that won’t get the radio play, but it is most creative song on released.” This site, which was purchased from Merry Edwards, was the most elegant with soft fruit, five spice and a great balance. 2010 Harper’s Rest Estate Vineyard (Russian River Valley), this is the only example of a single clone Pinot Noir and is named after the aforementioned Reuben Harper. Big stone fruit, molasses and black tea, but very soft and feminine in its approach. This was a fantastic wine. 2010 Two Birds Estate Vineyard (Russian River Valley), this was the powerhouse of the line-up. Very intense with blackberry, chocolate, smoke and earth with lots of complexity. On a sweet note, this was named after the nicknames that his parents have for the other. I asked Mark about what he is trying to accomplish in his wines – he said, “I want them to stop you and get your attention. I want to make wines that take people on a continuum of what they first drank and the evolution of their palate.” He also mentioned how food and wine continue to be mainstays at Arista where they offer several sensory experiences including food/wine experiences where guests pick food from their garden which they later eat during dinner to gardening to glass classes where people make pizzas with ingredients fresh from the garden. I realized that I never asked Mark about the Texas heat, but clearly here’s a family where it takes more than 100 degree weather to scare them away from their ambitions.